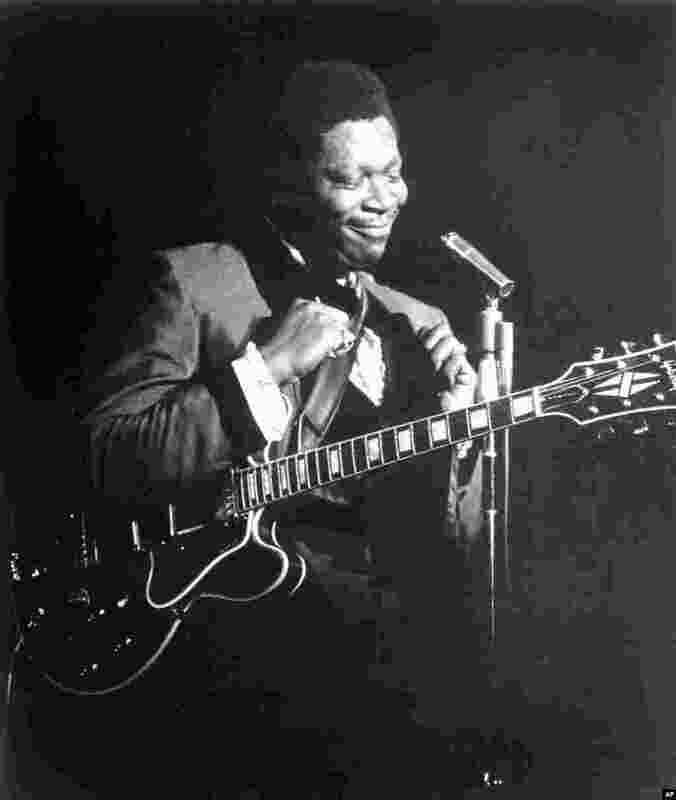 One of the great masters of blues guitar is dead. B.B. King died late Thursday at the age of 89. 2 B.B. 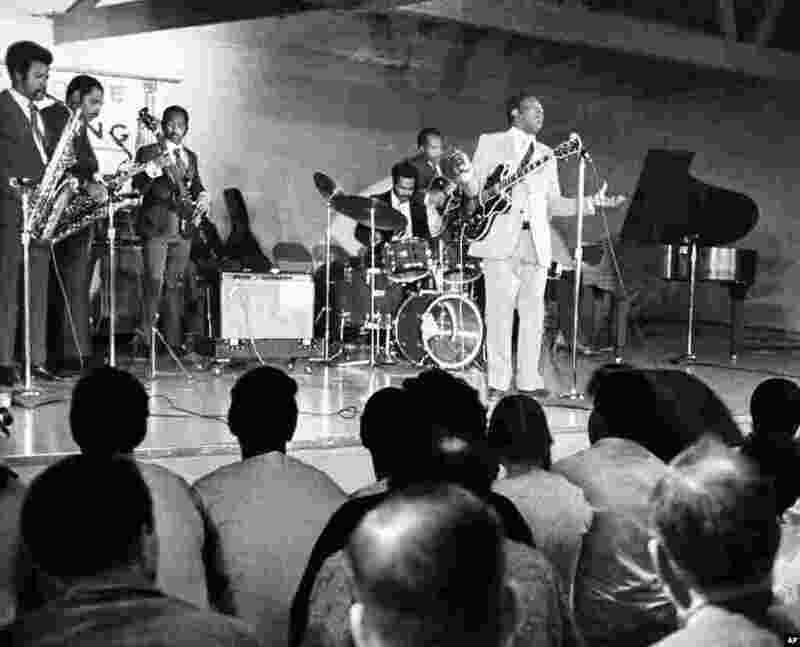 King performs for the inmates of Cook County (Chicago) Jail in Chicago, March 9, 1972. 3 Blues musician B.B. 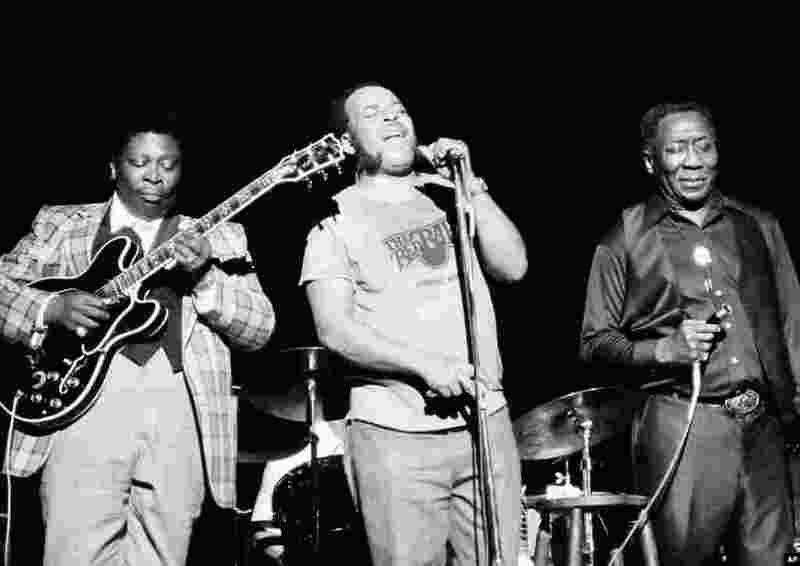 King, left, James Cotton, center, and Muddy Waters perform together at radio city music hall in New York , June 29, 1979. 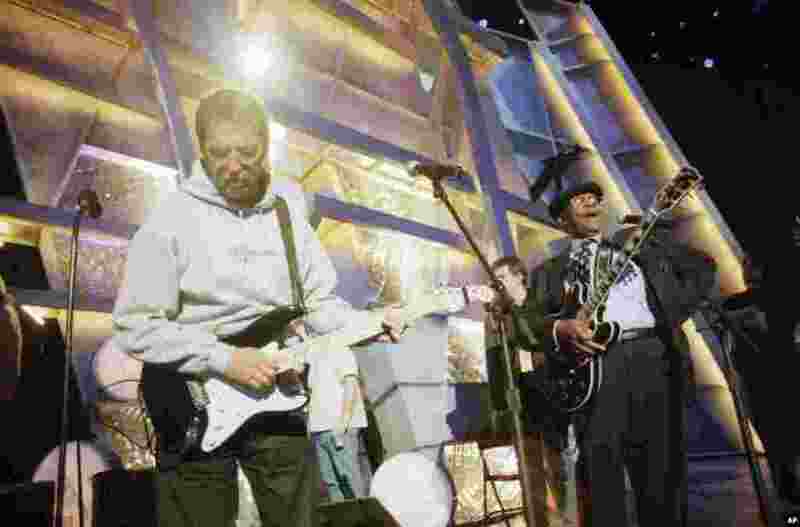 4 Rock icon Eric Clapton, left, practices with Blues artist B.B. King for their performance at the 41st Annual Grammy Awards ceremony, Feb. 23, 1999 at the Shrine Auditorium in Los Angeles.